Our local historian, Sarah Doig, delves into our region’s old newspapers to discover how our ancestors spent their free time. Today, with the benefit of both affordable travel to exotic locations and access to nature documentaries on television, we are familiar with wild animals from across the globe. 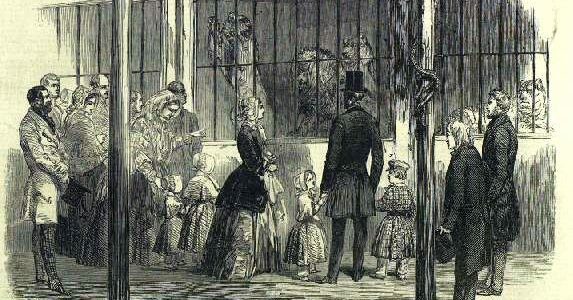 However, in the 19th century the only way most people would be able to experience such wild beasts were by visiting travelling shows such as the famous “Wombwell’s Menagerie”. This splendid menagerie has, since our last notice of its arrival in Norwich, been visited by crowds of all ranks and ages. It certainly affords a very great treat as well to the intelligently curious as to the more careless or less informed observer to see so many noble and interesting specimens of remarkable animals. In times before recorded music was available to listen to in the comfort of your own home, concerts were a popular form of leisure activity. These ranged from large-scale events – with visiting professional orchestras at venues including the Diss Cornhall – to small parish fund-raising concerts, comprising recitations and musical “party pieces” played by locals. One, rather odd, Victorian invention was the concept of “smoking concerts”. These were live performances, usually of music, but which sometimes took the form of readings or lectures, where the solely-male audience would smoke and talk about politics. On Monday evening last a successful social smoking concert was held at the “Towel and Hammer” Inn. Mr Towell [chairman] stated that the concert was of a non-political nature, and that no parish affairs were to be introduced. The East Harling Saxhorn Band, under the leadership of Mr George Barnard, gave selections [of music]. During the second half of the 19th century, “reading rooms” started to appear in villages across Suffolk and Norfolk. These were often founded and run by the lord of the manor, local clergy and other prominent residents. One of the main aims was to try to keep working class men out of the public houses by providing alternative evening entertainment. It was hoped that the provision of newspapers, books and gentlemanly games would elevate labourers’ characters of mind and improve their conduct. 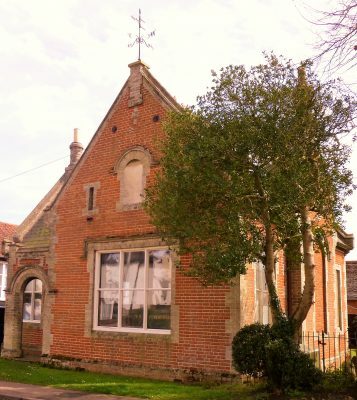 The reading room in Walsham le Willows was founded in 1858, when a new building was constructed in the main street for this purpose. Judging by the reports the region’s newspapers, members of neighbouring villages’ reading rooms often competed in closely-fought matches of the various games available in these rooms. The Bury and Norwich Post of 18 February 1890 records that, luckily, honours were shared in a competition of draughts and bagatelle held between teams from the Botesdale and Rickinghall reading rooms. Rickinghall won the draughts match by 12 games to six, but Botesdale defeated its rival in the bagatelle match.